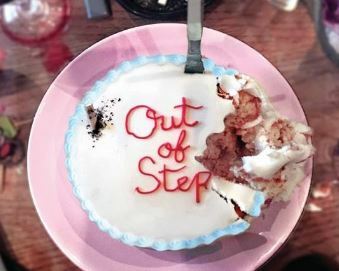 “Out of Step” is UnTied Productions’ debut play, about a dysfunctional stepfamily who are saying goodbye to their family home. Founded by actor Esme Lonsdale and writer Eddie Palmer, the independent theatre company can definitely be applauded for their vision, energy and commitment. 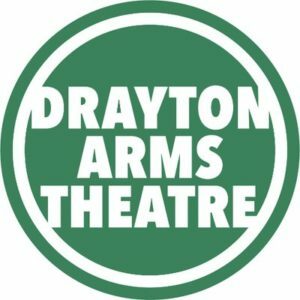 Born of the ethos of taking control rather than waiting for work to come to you, they’ve certainly worked hard, with more dash than cash, in selling out this small run at the Drayton Arms Theatre. The seven strong cast, which includes Lonsdale, comprise a band of like-minded actors that mirrors the ensemble nature of the piece. Set in real time it explores the rivalry amongst an unconventional family, at the head of which are Julia (Louise Tozer) and Jonathan (Brian Marks) who are unsuccessfully trying to hold their motley crew of offspring together and to themselves – a task exacerbated by the constant juggling of remembering who is stepfamily, and who is bona fide flesh and blood (hence the title). Family sagas are a well-trodden path, but this incarnation fails to add anything new to the genre. Whilst it gets off to a promising start (the ‘shocking plot twist’, as plugged in all the promotional copy, comes at the beginning) it rapidly runs aground and never moves forward. We never really learn why the family are being forced to abandon their home; beyond the mention of rising mortgage rates. This typifies the whole show in that we are frustrated by the shallow gouging of material that could otherwise offer such rich pickings. Instead we are presented with sugary stock characters, fudged comedy and stodgy dialogue that has the feel of an extended impro exercise. Palmer’s writing skirts the real issues as it tries to serve each sibling’s particular grievance. But you can’t please everyone all of the time, as they say, and this could have benefitted from a narrower focus. Under Hamish Clayton’s agile direction, the action does move at a steady pace, but is too often slowed down by the gear-crunching delivery by the cast. Individually their uncertainty stalls our ability to connect or care, but collectively there really just isn’t enough spark to ignite any real interest at all. Towards the end of the second act, though, there are moments of fire. Yet rather than burning with high emotion the cast settle for shrill histrionics. The ambition of ‘UnTied Productions’ cannot be faulted, but this is not the show that will lead to their aspirations being fully realised.